I wanted to share with you an amazing shopping website that I recently discovered. ShopLately is a website sort of like Etsy. It's comprised of tons of vendors and designers selling things like clothing, jewelry, bags, shoes, scarves, and more. Basically a girl's dream come true all in one website! There's a wide variety of prices. Of course you have your more expensive items like shoes and certain jewelry pieces, but there's also tons of really affordable items too. Especially the really fun jewelry which is what I had my eye on initially. You can find statement jewelry, especially necklaces for as little as $8 and most of them for under $25! Personally, I love me some J.Crew jewelry but we all know that store is not affordable unless there is a major sale going on and then a sale on top of that sale. I've found so many J.Crew type pieces while browsing ShopLately and all super cheap. Check out this beauty for example, for only $25! When perusing ShopLately the best tip I can give is to take as much time as you want. Anything you see that you like just hover over the photo and click the heart. This puts the item in your "Faves" which you can go to later and finally decide what you actually want to purchase. Another thing to note is that since there are so many vendors, each has their own shipping policies and prices and all of them are quite reasonable or even offer free shipping. You can also set up a profile on ShopLately and we can follow each other and check out each other's Faves. Here's my profile. 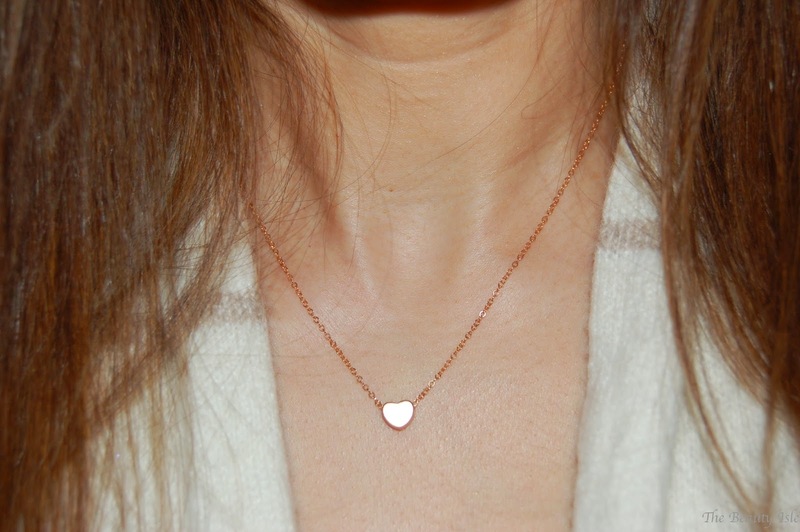 I had been on the lookout for a gold dainty heart necklace so when I found out about ShopLately that is what was on my radar. I found this gorgeous rose gold necklace for only $35 so I scooped that right up. There were definitely cheaper options but I just fell in love with this one and I'd never seen one in rose gold! 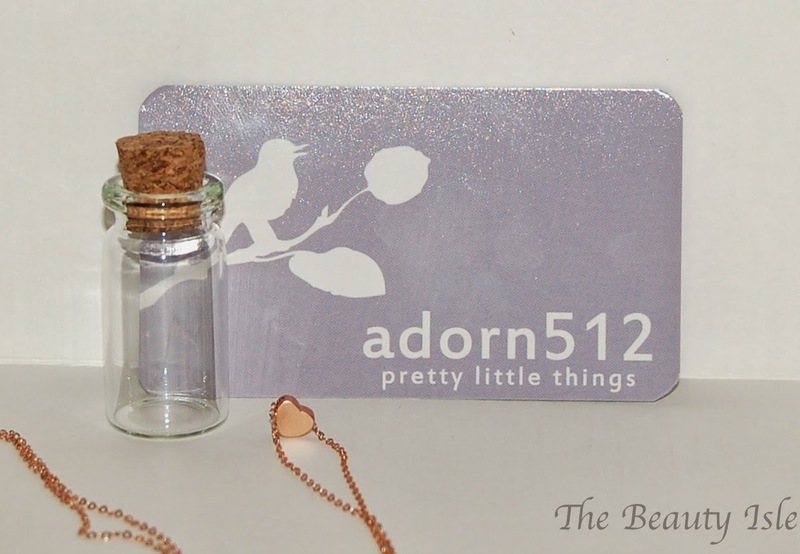 It arrived in a cute little clear bottle. I love my necklace and I've gotten so many compliments on it already. The fact that it's rose gold just makes it that much more girly and pretty. I really can't believe that I'm just learning about ShopLately. It will absolutely be my go to shopping site and especially if I need to find a piece of jewelry for a special dress. You can sign up by clicking on ShopLately anywhere in this post and if you sign up via Facebook you get a $10 credit. Like I said, $10 goes a long way on ShopLately! What will be your first ShopLately purchase?? Disclaimer: I was provided a promotional credit to try out ShopLately. However, I assure you that my thoughts and opinions are 100% honest. I wholeheartedly recommend ShopLately and will continue to use this website myself!